Re: EP10: "Lookin' Like A Blue-Haired Lady On A Sunday Drive"
Can anyone tell if the words on the hats are the same? Might be the name of the club. Looks like it starts "MAS..." which would mean it's in English. There's no "S" character in the Ukrainian alphapet. ETA: No luck finding clubs beginning with MAS. Maybe Maximum (максимум)? (This is on the way from the airport to Independence Square), Magma (магма)? Maybe this is the name of the rappers? Maybe I'm just rambling? see, its like an S almost like a snake S.
I give up on the club , they all look the same. Its actually very likely . And unforunately these types of episodes don't usually give time stamps, so rally all we can judge is whats shown. The BQ's were behind at the mines, the apparently got lost going to the statium and arrived when one person was repeling (we don't know if it was Tyler or James). But before most repels they do a safety check and explain and that can take awhile (one season is was between 15-20 minutes). And as for the otehr teams we really don't know how far behind they are, I am sure that the BQ's are probably finished with tehir repel by the time they get there (or close to it). Notice how they don't say oh look someone's repelling. So its quite possible that they have already left. I'm pulling for the club to be Maximum -- my parents actually live in that building just a few floors above it. Oh wow mwooden!I'll take your word for it ! I was trying to track down that sun symbol and found Tour Operator SunCity Ltd. which led me to Hydo Park which led me to Maxim which was talked about up post which is also called Hydrozone? , very confusing. Oooh...could we send them downstairs to ask what went on there on June 17th?? Didn't James look a little like this guy on his rappel? Yeah, I am sure Erwin and Godwin manage the tasks, it might take tehm a while, but we already see a long bunching point giving them plenty of team. Otherwise they have to take a penality. Since this isn't a raodblock which places a 4 hour penality, and its not a detour, I have no idea how big the penality would actually be. (if it coud even be the killer 24 hour penality that Nancy & Emily got in season 1). In the double legs the producers have always placed a sizeable equlizer after the fake Pit Stop. Even season 9 had one, but between teams taking much longer performing the roadblock and computer problems at the airport only 3 teams managed to get out that night. But since teh team that placed first in both sections, still most likely would have with teams getting all out together (since teams would ahve also been bunched again at the Mercedes track. E & J finished the section Mercedes track to Pit Stop faster tehn an of the other teams, though Fran & Barry would have taken place #2, instead of place #4. See that "He" (the first letter in the picture) is written like "s" in cursive. And, the latest castoffs from the Amazing Race!! I'll email my folks and see if they can check with Maximum -- I'll keep you posted. ETA: Done. With the time difference, it'll probably be tomorrow before I get an answer. We will be waiting mwooden!! in the mean time.. we have a video! Cho's are toast and we have our final 4. That's exciting mwooden! How nice to have an on-site source! (And I'm still new around here...but are you and mswood related? 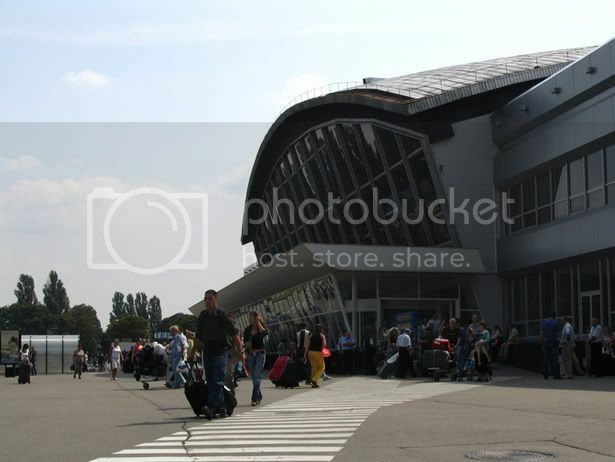 and arrives 11:30 AM at KBP via WAW (Warsaw Frederic Chopin Airport) that is available DAILY. How would they get from WAW to Kiev? Really I don't know? This is very interesting....could possibly give T/J a huge lead! But I went on the LOT airline website and can't find this flight...I specially checked on Sat's...anybody else having any luck with this? Uhhh, 20.30 is 8:30PM not 10:30PM. And we know positively that the models are rapelling down the olympic tower at 8:33PM. So not likely they can make this flight. Still looks like a bunchup at the HEL airport on the morning of June 17, saturday. Thanks Gman and have a safe trip darling ! just checking out the spoiler sites and found this, as if we needed more proof that the Chos are toast.. I saw the Cho Brothers running down West 86th Street on Friday Nov. 17, around 11 am. cripes its quiet here .. maybe TAR10 is too spoiled ? Thinking about where the Racers might stay during the pitstop in the Ukraine....TheSherborne Guest House" a 24-hour staffed apartment building near the Dnipro River within easy walking distance of most of the must-see sites. .. near historical Kievo-Pecherskaya Lavra"